"...I have seen many an oak grow from acorn to ruinous age." Legolas never calls himself a prince, and none of the other characters call him one. 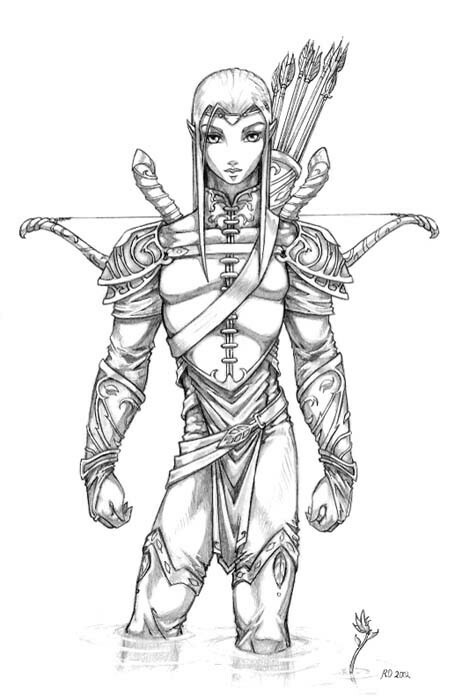 This contrasts sharply with the treatment accorded other noble Elves. Given Thranduil's consciousness of rank (he is the only Elf-Lord in Middle-earth who calls himself a King), it is inconcievable that he would raise a son to be so negligent of it. Thranduil was a Sindarin Elf who originally came from Doriath, but Legolas always identifies himself as Silvan, not Sindar. Presumably he had some Silvan ancestry, and probably his mother was Silvan. It may also indicate that he has spent the majority of his life mixing with Silvan Elves as one of their number. There is complete silence on the subject of Thranduil's wife and/or Legolas's mother. This may mean no more than the fact that Tolkien did not think women important enough to be mentioned most of the time, or that she was dead or had gone west, but it could also be interpreted as the kind of silence that traditionally surrounded royal scandals. In particular, would Thranduil have wed one of his Silvan subjects, rather than a fellow Sindar noblewoman? The year of his birth is unknown. He addresses the other members of the Fellowship as 'children', and implies that he is of great age. Martinez, in his article Speaking of Legolas , posits a date at some time during the Watchful Peace, giving him an age of between 500 and 900 years old. On the other hand, he frequently does not act as though he is of great age, or indeed terribly mature at all (as on Caradhras, for example). This could be because, (assuming that the illegitimacy theory is not correct) while he is the son of a King, he is also the son of an immortal. This means that he has all the privileges of rank, but little of the responsibility, and, barring accidents, little opportunity of acquiring it. While little is known about Legolas's early life, therefore, we can surmise that most or all of it was spent in Mirkwood, and that he travelled little. He must, however, have been involved in the events of The Hobbit , and was almost certainly present at the Battle of Five Armies. He has never visited either Lothlóien, for instance, or Hollin. He has certainly never visited Lindon, or anywhere else close to the sea. Whether he has visited Rivendell before or not is unclear. It is quite possible that he has not: the Wood-Elves as described in The Hobbit are an insular folk, exceedingly wary of strangers. He may not in fact have travelled at all before The Hobbit . He certainly gives the impression in LotR that much of what happens in their journeys is new and remarkable to him. In fact, the events of the War of the Ring could be seen as something of a rite of passage for him, as it is only after its conclusion that he breaks away from the parental home and establishes his own colony of Elves in Ithilien. About five years before the War of the Ring, Aragorn captured Gollum, and brought him to Mirkwood to be kept in custody. (This seems a strange choice of prison: the Mirkwood Elves do not exactly have a good track-record where escaped prisoners are concerned.) Legolas may well have met him at that time. He may well also have met Gandalf either then, or earlier, after the Battle of Five Armies. When Gollum escaped, Legolas was sent to Rivendell to report his escape. This seems a strange choice of messenger: the reporting of an escaped prisoner does not usually fall to the son of a King, especially one who is not well-travelled. It is conceivable that Legolas had responsibility for Gollum's imprisonment, and was therefore sent in punishment for his Elves' incompetence. 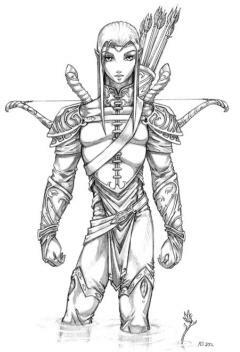 The presence of one of Glorfindel's power would be too easy to detect, whereas Legolas, being a Wood-Elf, is more accustomed to working by stealth. He may have been less susceptible to the power of the Ring than others among the Elves. 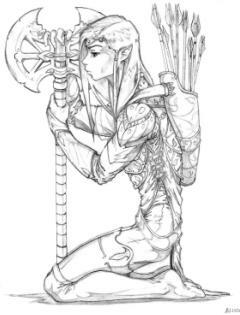 He was an Elf of Mirkwood, the only Elven community that lived in close proximity to dark creatures and powers, and had to daily battle with them to preserve the boundaries of their kingdom. Legolas might have been the only Elf prepared to go. 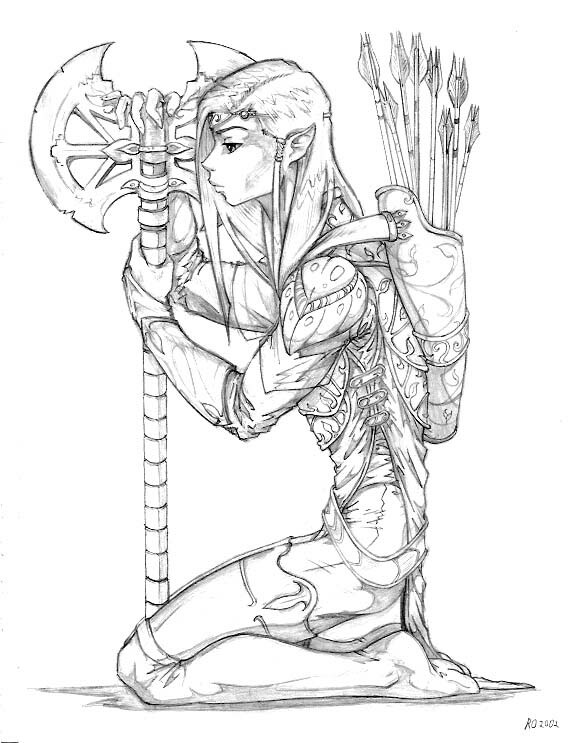 The Elves at that time considered themselves a declining people, closing themselves off from the other peoples of Middle-earth and taking little or no part in deciding its fate. Elrond, possibly because he was half-Elven, took a more active part than most, but even he played comparatively little part compared to the Hobbits or the Dunedain. Finally, and IMO most probably, it could have been because Elrond recognised in him the capacity for change that most Elves, by their natures as immortals, tended to lack. The Elves of the Third Age tended to live very narrow lives, in four small, well-hidden communities, but the Quest to destroy the Ring required one who was both willing and able to leave their familiar surroundings, and adapt to the rigours of the journey to Mordor, and to living with the mortals who comprise it. Tolkien states that Legolas 'achieved the least of any of the Fellowship', though this does not seem to be an entirely just charge, compared to, say, Merry or Pippin. Like Gimli, after the sundering of the Fellowship he travelled first to Rohan, to take part in the Battle of Helm's Deep, and then South-East via the Paths of the Dead to Minas Tirith. On this journey he first heard the call of the gulls, and began to experience the sea-longing. There is a notable change in his attitudes and actions after the Fellowship arrived at Lothlóien. Before Lothlóien he gives the impression of extreme youth, and often inappropriate playfulness. After Lothlóien he seems to become more grave and serious. It is also Lothlóien that marks the start of his remarkable friendship with Gimli. Little is told us about Legolas' appearance. As an Elf of Mirkwood, he dresses in green and brown, and may have had blond hair, as we are told in The Hobbit that the King of Mirkwood did. There is also the following, little-known passage, found in Part Two of The Book of Lost Tales. After the War of the Ring, Legolas returned to Mirkwood, and then brought a portion of his people down to dwell in Ithilien, in Gondor, where he stayed until Aragorn's death, and then built a grey ship in Ithilien, and sailed West via the river Anduin. It is said that he took Gimli with him, but this Tolkien neither confirms or denies. It is possible, though, that many others from Ithilien travelled with him.